The artists who participated in the Inventory & Oral History Project from 1999 through 2018 are listed below with the year of participation. Click on the name of any artist to see their resume, website and email link, small gallery of their art, and a link to their oral history video. 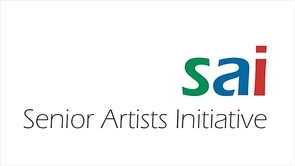 Please remember that Senior Artists Initiative is volunteer operated nonprofit with no paid staff. We are supported only by personal donations. If you find value in our Website.please consider making a donation to contribute to our support. To contribute please click here.